Well I planned on posting about this with the server launch and then forgot about it. We are changing how we deal with user created dimensions. For those that are new to the community, the old system allowed unlimited dimensions for everyone. The problem with that were loads of dead Dimensions that people didn't clean up when not used anymore. To avoid this problem, you can now only create one dimension at a time. If you want to make another one, you have to contact staff with your old dimension number and ask them to delete it; or if you want to keep it, give a reasonable explanation as to why you need two dimensions. To make your first dimension, everyone gets one Owner Dimlet when they have 30 minutes of playtime on the server. I have applied that to everyone already playing retroactively. Q: Are any kind of dimensions allowed e.g. draconium blocks? A: Yes and no, nothing is banned but they are forced void only so if you want draconium you have to go with draconium spheres. We are pleased to announce the opening of our next server this friday! It will be the new official MindCrack modded Minecraft pack from the FTB Team, designed to encourage exploration and automation while enjoying some of the best mods that Minecraft has to offer! Featuring mods like Galacticraft and the new Mekanism v9. You can download the pack from the FTB Launcher or with the Curse Voice Launcher. For the people waiting for a 1.9.x pack, unfortunately there still aren't any packs worth running. However, some of our staff members have started working on their own pack, and at this point are pretty much only waiting for Mekanism. You can see the progress on our Github. As always, you can see the server map at map.stonebound.net/crackpack and possibly pick a spot where you would want to live. See you on the server Friday! We are pleased to announce the winner of the next server voting. InfiTech 2 won with 66% of all votes. Thank you everyone for voting. 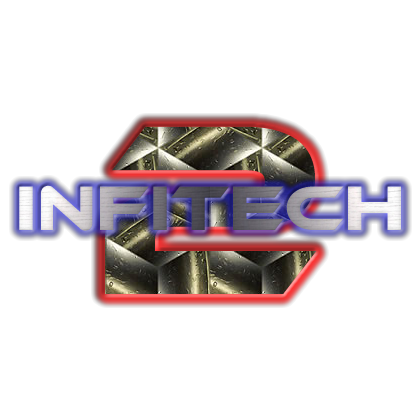 InfiTech 2 is one of the oldest, still frequently updated 1.7.10 packs, it is mainly focused around Gregtech and Thaumcraft, with a vast number of tweaks and adjustments to recipes to alleviate exploits and create a truly balanced "GregTech" experience. You can download the pack from the FTB Launcher with the private pack code 17infitech or in the Curse Voice Launcher by searching for InfiTech 2. While waiting, you can see the server map at map.stonebound.net/infitech and possibly pick a spot where you would want to live.